Azerbaijan exported next locally produced aluminum profiles to Denmark on April 3. Exports were implemented on the basis of the order received by Sumgait Technologies Park (STP), one of the representatives of Made in Azerbaijan brand, Report informs. This is the second batch of aluminum profiles exported by Azerbaijan to Denmark. 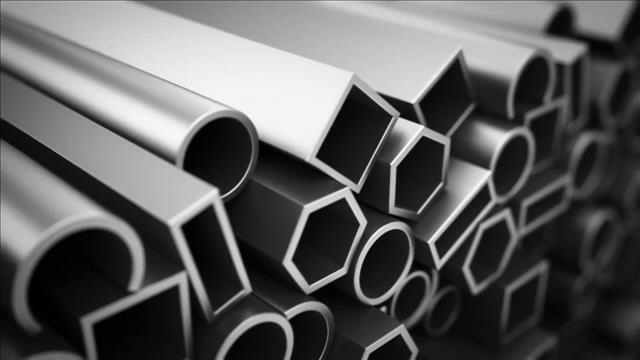 The first order was made in November 2018 to supply 100 tons of aluminum profiles.Being satisfied with the product, the Danish side decided to make a permanent order. STP plans to sell aluminum profiles several times to Denmark in 2019. The exported aluminum profiles are manufactured by the most up-to-date equipment using the best quality raw materials. The product will be used in construction of industrial and civil facilities in Denmark. STP is one of the largest industrial products in the region. Commissioned on December 22, 2009, STP is a pioneer in the creation of technology parks in the region and is a complex of giant factories specializing in various manufacturing areas. In 2017, it received a status of a resident of Sumgayit Chemical Industry Park. STP enterprise manufactures electric power and mechanical engineering products based on modern technologies, in particular, it has launched production of a wide range of different types of cables, transformers, high-voltage equipment, hydraulic turbines, water pumps, electric motors, pipes, technical gases. The aluminum plant at the Sumgait Technology Park, produces hot and cold rolled profiles, window frames, aluminum busbars, and other aluminum products in accordance with clients' orders since 2014. At the plant, together with the production of aluminum profiles, there are such areas as smelting and billet aluminum, copper smelting, etc. The productivity of furnaces is 30,000 tons a year, the design power of dry paint production is 240 tons per month. Ganja-based local raw materials are used mainly in the production of products. STP, a unique project in the region, fully meets the needs of the domestic market and is capable of exporting enough products to the foreign market. At present, there are 13 plants and more than 30 production sites equipped with the latest technological equipment manufactured in Europe and Japan, where 2000 people employed. Sumgait Technologies Park, successfully exhibiting successful sales strategies in international markets, has exported many products to countries such as Germany, England, Denmark, Russia, Turkey, Georgia, Kazakhstan, Uzbekistan, Tajikistan and Kyrgyzstan. The Technopark's targets are to increase sales operations in Asia and Europe, and include prospective markets such as Africa and the Middle East. Recently, STP has signed a memorandum of understanding with Weir Group, a UK-based mining and oil and gas industry specialist. Cooperating with Weir Group will enable STP to join larger projects, particularly in the oil and gas sector.